leadership competencies to support the development of high performing, competent and credible executives, leaders and managers. It documents the sets of skills, attitudes and behaviors needed by leaders and managers at all levels to sustain and reinvent Luenthai to be successful in a challenging, competitive future. Clearly articulated competency definitions are vital to help us develop and institutionalize a positive learning and development environment and a fair, objective performance management system. gradually develop our cultural DNA that supports also our future identification of internal and external talents for succession and role assignment who will share and perpetuate our values. Luenthai’s vision, “Sharing Success through Reinvention” and “Being an eXtraOrdinary organization”, can only be realized through our people. 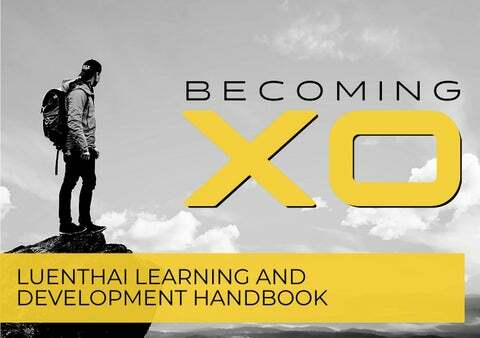 We welcome all of you to take part in this exciting Learning Journey and be part of the XO team that continues the eXtraOrdinary legacy of Luenthai. MESSAGE FROM THE CEO Developing leadership competencies in our people at all levels is key to sustaining and reinventing Luenthai “Many of you have heard of me sharing my story on how I was inspired by the children of Tuloy Foundation being transformed by a simple motto – “Doing ordinary tasks extraordinarily well.” To allow this simple value to take root in the hearts of over 50,000 employees, I wholeheartedly believe Luenthai people can become extraordinary too by promoting a spirit of learning in the organization. It is therefore my honor to present this learning and development handbook to all of you. As a people oriented business, we always put our employees first and support the important values of equality and diversity. Over the years, we strive to show our care for employees under our“XO CARE” banner, which is to provide support to our people through competitive remuneration, and to promote a healthy work-life integration and career progression. As we continue to uphold this very important people philosophy, we are putting in additional emphasis on the importance of providing continuous and sustainable learning and development opportunities to enhance our employees’ capabilties, so they could realize their full potential. but so are the behavior and values of each team player. Playing foot ball has helped me in many ways to develop a set of very important habits that defines who I am. Luenthai is a big team, and we have developed “7 XO Habits” that aims to guide every team member on how we need to conduct ourselves everyday to become effective and a true team player. These 7 XO Habits are: 1. Be courageous by being accountable 2. Be ambitious by having an end goal in mind 3. Be passionate by loving what you do 4. Be generous by sharing and building on ideas 5. Be caring by being a good listener 6. Be collaborative by building synergistic relationship 7. Be sustainable by renewing ourselves constantly As our Corporate HR team takes over now and launch this initiative across all our operations around the world, I hope everyone will embrace them and enjoy this as part of your journery to grow. I am very honoured to embark on this journey of making Luenthai an ExtraOrdinary company with you all. LUENTHAI XO VALUES Our XO Values are the core foundation in developing our leadership competencies. eXtraOrdinary care for our people means providing continuous and sustainable Learning & Development opportunities. WHAT IS COMPETENCY? Competencies are translations of capabilities deemed essential for organizational success. They should be observable, measurable and vital, and encompass three elements: knowledge, skills and attitudes. Competencies point to effective and efficient behavior that ensures the achievement of desired goals/ targets/ results. Positive outputs/results of performance should always be demonstrable and repeatable when the appropriate competencies have been identified and acquired. Competencies should be selected based on the significance and the impact they will have on the mission/ vision/ goals and strategic directions of an organization. When they are clearly articulated, competencies make each worker in Luenthai consistently effective and efficient in providing and delivering required services. having a clear sense of accountability Controlling and monitoring of processes in delivering results Motivating employees Having an external customer orientation. Identify performance criteria to improve the accuracy and effectiveness of the hiring and selection process. Provide more objective performance standards Clarify standards of excellence of performance expectations for easier communication to direct reports. Provide a transparent and objective basis for dialogue between managers and direct reports about performance, development and career-related issues. Gain a better understanding of the success criteria (i.e. behavioral standards of performance excellence) required to be successful in their role. Receive a more objective assessment of their strengths and competency gaps . Benefit from professional development that better suits their competency profile and targets their skills and knowledge level Provide a transparent and objective basis for dialogue with their manager or team about performance, development and career-related issues. LUENTHAI LEADERSHIP COMPETENCY MODEL To help us communicate internally the 9 core competencies that will drive the future success of this organization, we have drawn on the universal game of TIC TAC TOE to create a striking and memorable logo, its noughts and crosses inspiring the name of the XO Leadership Competency Model. The Luenthai Leadership Competency Model has been developed with knowledge and understanding specific to our business and with the close involvement of various stakeholders in the organization, benefitting from their valuable experience and comments that we gathered through interviews. As such, it is a model tailored to our current and future needs as an organization. Having a leadership competency model promotes better leadership at all levels. We believe this leadership competency model will support the organizationâ&#x20AC;&#x2122;s vision and strategy by providing a framework by which the organization can select, develop, and evaluate leaders. Having determined what positions at which levels require which specific competencies, the model enables HR and/or management to compare an individualâ&#x20AC;&#x2122;s current competencies with those necessary to fill a leadership position in order to make effective decisions in hiring, developing and promoting leaders. DEFINITION OF NINE LEADERSHIP COMPETENCIES DIRECTION AND ALIGNMENT SETTING VISION AND DIRECTION See ahead clearly; can anticipate consequences of actions and trends accurately; has broad knowledge and perspective; is future oriented; can articulate and paint credible pictures and visions of possibilities and likelihoods; can create competitive and breakthrough strategies and plans; optimistic and create mileposts to rally support behind the vision; make the vision shareable by everyone; can inspire and motivate entire units or organizations. DEVELOP TEAM CULTURE Take an active role in cultivating a clear, consistent set of values and working norms that foster eXtraOrdinary workplace behaviour; bring people into teams; create strong morale and spirit in his/her team; share wins and successes; foster open dialogue; let people finish and be responsible for their work; define success in terms of the whole team; create a feeling of belonging in the team.. MANAGING SELF Passionate through demonstrating strong awareness of own personal needs and values and able to constantly energize and harness it to fuel oneâ&#x20AC;&#x2122;s own development as well as inspiring others to grow; demonstrate entrepreneurial spirit and enthusiasm, and inspire people to exert eXtraOrdinary effort as a team player. DEFINITION OF NINE LEADERSHIP COMPETENCIES IMPLEMEMENTATION AND EXECUTIUON COMMERCIAL ORIENTATION Take an active interest in the macro business environment; pro-actively engage with important external stakeholders (customers, suppliers, partners, government bodies and others) to form business insights that could support the Company to deliver greater value to the customers for now and the future; able to assess and capture opportunities that can balance the interest of the organization and the needs of customers; establish and maintain effective relationships with customers and gain their trust and respect. ACCOUNTABILITY Ensure everyone in the team or department at all levels understand what is expected of themselves; identify value drivers and develop milestones and outcome measurement; provide enabling tools and resources to individuals so they feel properly empowered and equipped to feel accountable for delivering results. MONITOR & MEASURE Consistently measure and manage business and risk, and act to address problems before and when they arise; can design practices, processes and procedures which allow managing from a distance; is comfortable letting things manage themselves without intervening; can make things work through others without being there; can impact people and results remotely; good at figuring out the processes necessary to get things done; know how to organize people and activities; understand how to separate and combine tasks into efficient work flow; know what to measure and how to measure it; can see opportunities for synergy and integration where others canâ&#x20AC;&#x2122;t; can simplify complex processes; get more out of limited resources. DEFINITION OF NINE LEADERSHIP COMPETENCIES MOTIVATE AND INFLUENCE LEADING PEOPLE Sensitive and flexible in using different leadership styles to shape the actions of people in the organization to drive the needed performance; understands why groups do what they do; picks up the sense of the group in terms of positions, intentions, and needs; understand what people value and how to motivate them; can predict what groups will do across different situations. DEVELOP PEOPLE AND TEAM CAPABILITY Provide direction and seek necessary resources to ensure that organizational skills and talents are put in place to execute the strategy and sustain the companyâ&#x20AC;&#x2122;s competitive advantage; is a good judge of talent; can articulate the strengths and limitations of people inside or outside the organization; can accurately project what people are likely to do across a variety of situations. INNOVATION AND LEARNING Encourage and harness new ideas, from transformational innovation to incremental improvement, so that the organization can effectively evolve and grow; promote a testand-learn culture within the function or unit; demonstrate curiosity and willingness to learn knowledge and facets of the business that is beyond their own areas of expertise. BE COURAGEOUS BY BEING ACCOUNTABLE Luenthai people do not blame circumstances, conditions or find excuses from external factors for their results. We make a brave and deliberate choice take actions and responsibility to change what we can. We all live by a deep seated set of values and integrity that guides us to make and keep commitment and to walk our talk. BE AMBITIOUS BY HAVING AN END GOAL IN MIND Luenthai people are accomplishment focused and have a strong intent in their lives. We strive to set a vision for ourselves, for our family , our teams and align them towards the vision and values of the Company. BE PASSIONATE BY LOVING WHAT YOU DO Luenthai people are passionate people who loves what we do and are committed to continuously enhance our area of expertise to contribute in our own way to the success of the company. This deep passion gives us the resilience and patience to overcome challenges when some elements of work don’t often play to our strengths. BE CARING BY BEING A GOOD LISTENER Luenthai people puts people first at all times. We promote open and honest dialogue when we have differences. We actively listen first before we seek to be understood. We listen with a strong intent to understand and seek creative solutions. BE COLLABORATIVE BY BUILDING SYNERGISTIC RELATIONSHIPS Luenthai people builds strong network inside and outside of the organisation. We recognise our weaknesses and vulnerabilities and seek to leverage on each others’ strengths. We believe everyone involved will gain more insight and mutual learning will give us more strengths. We seek to build trust in everyone we meet. We therefore truly embrace diversity and welcome people into our team regardless of their age, gender, ethnicity for as long as they share our values and passion. Luenthai people believe in being generous at heart and that the world is not a zero sum game. We seek mutual benefit in all our interactions - with our shareholders, colleagues, our subordinates, our clients, our suppliers, our community and our environment at large. Luenthai people strives to think of a Third way to do things, and not sticking to “My Way” OR “Your Way”. LEADERSHIP DEVELOPMENT INITIATIVES Luenthai truly believes in People as our greatest asset and one of the most important drivers for sucess. As we continuously invest in technological advancements and other innovations to become a Smart enterprise and supply chain , we understand that it is vital to invest in our people â&#x20AC;&#x201C; to develop leadership competencies and support their career growth with us. Luenthai Corporate Human Resources offers world class leadership development programs for managers and leaders in our global operations at all levels. Each program is based on a tailored, multi-learning approach with modular workshops and experiential learning that supports our people in developing the competencies defined in our XO Leadership Competency Model. XO LEAD XO LEAD Line Leaders Development Program is a leadership development program launched in June 2018 designed specifically for Luenthai Line Leaders who supervise and lead hundreds and thousands of our floor operators. As people-intensive manufacturing operation, providing continuous learning and development program for our front-line leaders is our top priority. XO LEADâ&#x20AC;&#x2122;s main objective is to instill pride in our line leaders, provide clarity of roles and responsibilities, and equip them with the right soft skills and technical knowhow to perform at the top of their ability and become a more engaging leader. XO LEAD adopts a multiple-learning approach that includes experiential learning, classroom setup, role plays, group discussion, sharing sessions and outdoor activities. XO LEAD is also designed with a 3-Level Progression Approach where participantsâ&#x20AC;&#x2122; learning is sustained through a 12 to 24 month period, allowing for their own learning to take root through onthe-job application and supported with active evaluation by HR and their supervisors. MANAGEMENT FUNDAMENTAL PROGRAM (MFP) The Management Fundamental Program is a developmental program designed exclusively for our junior to mid-tier managers. The Program is an intensive 4 - day program to be completed in 4 to 6 months. The program aims to instill basic management concepts, provide clarity in performance expectations and accountability, and develop their motivation for improvement and progression. ACCELERATED DEVELOPMENT PROGRAM (ADP) ADP is aimed at executives who are to be future pillars of the organization. This program will help them become future global business leaders by equipping them with theories, skills and frameworks that they can apply in this fast-changing world. 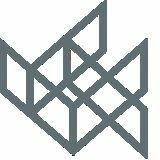 The program will be in the form of intensive modular-based offsite workshops supported with online learning. EXECUTIVES LEARNING EXPERIENCE Given our fast-paced and highly intense industry environment, we truly understand the challenge senior leaders face over finding time and space for learning. We believed as senior leaders deal with matters of increased complexity and uncertainty, their learning experience has to be highly tailored to suit their own personal learning style, lifestyle and developmental priorities. Luenthai Corporate Learning and Development team serves to provide senior executives this flexibility in choosing the right resources and formats to embark on their journey of learning. PERFORMANCE MANAGEMENT AND LEADERSHIP COMPETENCY Performance Management is about achieving results in a manner that is consistent with organizational expectations. Integrating competencies within the performance management process supports the provision of feedback to leaders not only on “what” they have accomplished (i.e., performance goals), but “how” the work was performed. Assessing competencies as part of performance management is an important means of assisting leaders in understanding performance expectations and enhancing competencies. Performance Management programs are set up to provide feedback to employees on how effectively they are performing in their jobs. Such programs normally include a set of goals or objectives the employee must accomplish within the review period as well as the standards or criteria for determining whether the defined goals have been accomplished. Feedback given on the employee’s competencies typically feeds into the development of a learning or action plan to address gaps in performance and development within or beyond the employee’s current role/job. Corporate HR will further develop a Luenthai Competency-Based Performance Management Handbook to support this process. CAREER PROGRESSION As an employer who takes pride in our care for employees, we develop multiple career development pathways for different employee groups. For example, our employees could choose to become technical masters, functional experts or general managers. We encourage our employees to never stop learning and to stay curious at all times. It is with this active approach to career planning for our people that we could retain talents and sustain Luenthaiâ&#x20AC;&#x2122;s organizational knowledge, competence and wisdom. Ethel Macapagal, Ann Rodriguez, Maricel David, Aileen Tesoro, Isabel Ocampo, Leah Dimarucut, Chari Racho, Leo Lucas, Kathleen Maniti, Ria Juco, Danny Goh, Pamela Aquino, Adjulyn Belmes, Shirelyn Simbahan, Gina Villasoto, Ferdinand Manalili, Melody Furman, Emie Pambid, Verna Garcia, Rosario Pabuna, Lara Martinez, Rose Tuliao, Catalina Canlas, Yllena Lacanlale, Hye Meng Tan, Hooi Ching Lim, Erik Harmsen, Evelyn Jose, Catherine Baring, Zeni Dimafelix, Ladymae Casinillo, and Albert Lowee Ouano. Our colleagues in the Corporate Communications Division for their assistance in the design and layout of this handbook.